2018 G.C.E GCE O/L Exam Results release March 28 via www.doenets.lk or www.exams.gov.lk - Examination Department. 2018 GCE A/L Exam - උසස් පෙළ ප්‍රතිඵල Aposa Usaspela Prathipala) Results released via www.doenets.lk or www.exams.gov.lk - Examination Department. "Lanka University News" has extracted last 8 years A/L Exam results released dates and forecast it will Release on November End or December. 1. First re-scrutinized A/Level results 2015 should be released. Higher education Ministry sources says that the students who are qualified for the 2016 University Academic year based on 2015 A/L results will be admitted before the end of 2016. "Lanka University News" has extracted last 8 years A/L Exam results released dates and forecast it will release on November / December. I am very greatfull if you could release results before 26th nov which is the closing date for university registration.As this is a turning point in our lives I would be much obliged if you could understand us and release the results. Matath oya prashnema dr Dec 7 registation.campass ganna lamai gaanai/ shishathwe pass wena pramaanei adu karapu rajayen oya wage deyak balaporoththu wenna baaaaa. Matanam sure na.exam iwaraune parakku wela nisa Nov.27 ewanna bariwei! Tomorrow is the day.Really can release A/L results tomorrow.I think it is impossible. Ada results enawada? News walatanam dunne December 5 results release karanawa kiyalai..
Me para physics paper eka gana monawada hithanne? Ekata paper marking waladi shanayak deelada? A, B, C dena marks level adu karala nadda? Adu newei bn wadi karalalu.A 80/B 70/ C 60/s 40 mama dannaa aththada kiyala but department eken kiwwa kiyala daala thiyenawa "i studyroom " ekee.some time wenna puluwan.shishathweta/mee paara campess gathth pramaane wagee kappaadu karanawa athi. Eka mara asadaranayi ne be. Marks level wadi karanna tharam papers lesida? pass marks wedi karnne ne neda adu karanawa misak????????????? is this thing about pass marks official or just a rumor?because nomally pass marks for A and B does not change.more accuratly it can not be.,if it does, its a serious offence against studant rights. 27 ena kiyala results ey thama out kale neththe ? Results ena dawasak haryatama dena ganna puluwanda??? Mata uni registration eke closing date eka 15th December, eta kalin rslt ave netham mata kohomath me para noya innai venne ! R u serious. ? or just kidding? 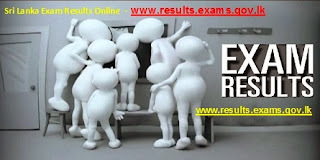 Result ena dawasak hariyatama dena ganna puluwanda????? Derana NEWS walatanam kiuwe December last week ei kiyala. Ow.....neda ? ?chirstmas walata kalin kiyalth kiyanawa neda?? Ugc , DOE kattiya me gena hithanna one neda ? Aluth updates mukuth nedda 2015 A/L exam results gena. 2015 al results gena kisima thorathurak neththe ey??? Kohomath 25 pahuwela thamai ewanne mama hithanne! 20 ho 27 ewi. Itawada kalyanne ne. Is 19th Dec the official date or just ur guess? hwevr results wil b definitly released anytime after dec. 20th. Ow bn O/L iwarawela thamai ewanne. Masa 3 hamarak giya ganak natuwa.me sathi 2 thamai yanne naththe! Can't wait anymore �������� release the results soon ! When will the 2015 a/l results released?please someone surely know the answer please tell? As a student who did A/L this year, I think our youth would be much more efficient for our country if the results are provided without futher incovenience,because right now, I do not feel the 'change for the education' our goverment promised us happenning. Even though taking responsibe actions and making necessary rules consume more time,if the goverment can hire trustworthy, intelligent people the time given is more than enough to make a master plan for our country's success. Kawadda ane aththatma result enne? අධ්යයන පොදු සහතික පත්ර උසස් පෙළ විභාග ප්රතිඵල දෙසැම්බර් මස 31 වැනි දිනට පෙර ලබාදීමට හැකිවනු ඇති බව විභාග දෙපාර්තමේන්තුව සඳහන් කරයි. මේ වනවිට පිළිතුරු පත්ර ඇගයීම් කටයුතු අවසන් අදියරට පැමිණ ඇති බව වාර්තා වේ. officially news walata kiwwe nathi hinda 19 release karannath puluwan.dan kohomath paper balala iwaraine. Ada Lankadeepa newspaper eke thiyenawa.decm 31ta kalin ewanawa kiyala. 27 28 wage thamai ewanne! o/l paper marking 28 patangannawane. 26 eway .giya sere ewweth senasurada dawasaka. Anee manda kawda ewaida kiyla???? sir kenek thamai kiwwe. nathuwa official ewa nemei weena athi. ewunata apita ehema hari thawakalika sahanayak labena comment ekakata ohoma kiyanna epa. Com. Maths A eka keeyen weida? Physics C eka B eka kiyenda kiyala kawruhari dannawada? Ane aththatama 23 eida? Kawda oyalata kiwwe? pass mak wedi kalath wede thiyenne Z SCORE ekenne.ehema wedi karana ekak nehe. එවනවනම් අද news වල කියනවනේ! Ada results enawa kiyanne athada???? Kwda kiwe? News walta kiwe nane? 28 wage ei neda? ada results enavada madushan serasinghe?? Kohomath January walata kalin eine neda???? Hey 25 enawalu kiynne aththda? I can't bear any more. Results, Please come soon. Dear friends, vibhaga departhamenthuwata call karama kiwwa a/l results me mase anthimata e kiyanne labana sathiya athulatha nikuth karanawa kiyala. Yaaluwane danma Results enne naa?January Firest weekwala enne? The results of the 2015 G.C.E. Advanced Level examination will be released on December 31, Department of Examinations said today. 309,069 applicants sat for the examination this year in 2180 centers island wide. Physics B and C pass mark eka kawruhari dannawada? Make comment ekak thiyenawa A - 68, S - 27 kiyala. Eka hari yayi upakalpanaya kaloth B eka 58, C eka 43 awata wage wenna puluwan. G.C.E.Advanced level 2015 results released on 31. Iwasala iwasala barima thana methanai iwasiya yuthuma thana. mechchara masa 3ak hitiya me tika kale tamai inda bari christmas feel wenneth na ekko oka deela dammanam iwarai appa i really hope it will be good!!! Ane mata nam enakm sure na mage reslt eka? Kohamath 31st aniddha new year ne.result eke honde vunoth happy ane.honde result eke athe. technology karapu kauruhari dannawanam kiyanawada mata s.f.t wala A,B,C dena lakunu mattam? ane please mata meka kiyannako apita A/L waladi highlighters use karanda thahanamda?? mama tikak use kara Accounts paper eke final answer eka highlight kara yellow highlighter eken mkda mama samanyen piliwela na accounts hadaddi a hinda final answer eka kapila penda mama hama final answer ekama hihlight kara eka e welawe oluwata awe na thahanamda danne na kiyala please someone tell me thahanamda kiyala use karanda??????? ADA results enawa kiyana eka aththadaaa???? Results ada raa 12ta enawalu..
අඩෝ ඇත්තටම අද එවනවලුද බන්? Ai yesterday o/l paper marking patan gannakotath examination commissioner media walata kiyala tibbe Thursday results ewanne kiyala.